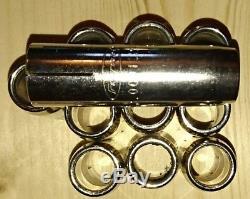 Sell a brand new, unused items, parts for Fronius robot / manual welding torches. 34,0350,1781 - Robacta 300 - 22° - 1pcs (150). 34,0350,1680 - Robacta 300 - 36° - 1pcs (150). 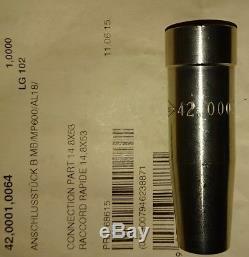 42,0001,5376 - Gas nozzle (Robacta 500). 42,0001,2933.42,0001,5532. 42,0001,5160.42,0001,5214.42,0001,2931. 42,0001,5515.42,0001,5544. 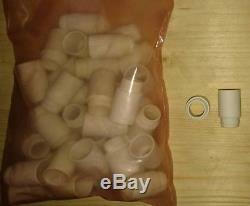 44,0350,1170.42,0100,0425 Insulation sleeve (Robacta 300) - 39pcs. 42,0001,2986 Fixing nozzle with thread (Robacta 300). 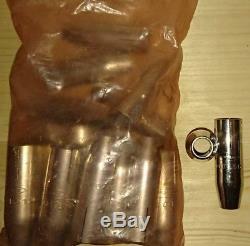 44,0350,2325 Fixing nozzle (Robacta MTG 2500) - 1pcs (20). 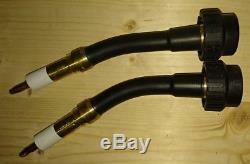 44,0350,2616 Fixing nozzle (Robacta MTG 3200/4000) - 2pcs (12/pcs). 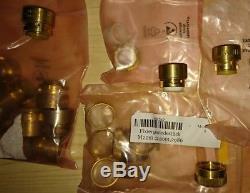 44,0350,2282 Fixing nozzle (Robacta MTG 3200/4000) - 10pcs (12/pcs). 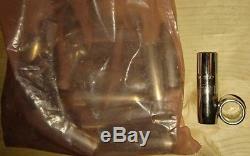 42,0001,5528 Nozzle stock M10 (Robacta MTG 4000) - 2pcs (3/pcs). 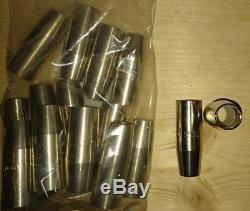 44,0450,1158 Gas nozzle milling tool (Robacta MTG 2500/4000) - 2pcs (15/pcs). The item "Fronius Robot welding torch bodies, wear parts, gas nozzles, torch milling tool" is in sale since Sunday, December 2, 2018. 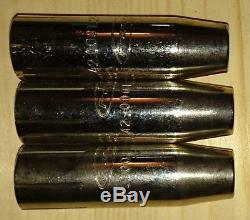 This item is in the category "Business & Industrial\CNC, Metalworking & Manufacturing\Welding & Soldering Equipment\Welding\MIG, TIG & Stick Welding Accessories\Nozzles, Collets & Lenses". The seller is "ronofrommalzenice" and is located in Malenice. This item can be shipped to North, South, or Latin America, all countries in Europe, all countries in continental Asia, Australia.